In 3 days, Air China is going to be having yet another flash sale on their flights to Asia for $499 CAD roundtrip including taxes. Like last time, they are offering flights to Tokyo, Japan for this price. Hopefully there are more dates available this time. Last time, the number of available dates was incredibly limited. Interestingly enough, this time around, there are also going to be $499 flights from Montreal to Astana, the capital of Kazakhstan. How's that for exotic? I'll resist making a dated Borat reference. Astana has invested billions in building unique and modern architecture for it's skyline with the help of architects from around the world. Also note that as of January 2017, Canadians do not require a visa to visit Kazakhstan. There will also be flights from Montreal to Hong Kong available for this price. NOTE: Air China usually releases theses fares around 3 AM EST. In other words, you would need to stay up really late on Thursday July 13th (or get up really early the morning of Friday July 14th, depending on how you want to think of it). Montreal to Tokyo, Japan - I think, like last time, these flights will require overnight stays in Beijing, China on the way there. It looks like there will be a lot more dates than last time, most notably for March, April, and May 2018 travel. Montreal to Seoul, South Korea - It looks like these flights will have 2-3 hour layovers in Beijing, and are actually very close to as fast as Montreal to Seoul can be done. Might want to focus on Seoul! Montreal to Hong Kong - try dates in and around the dates listed below for Tokyo and Seoul. It looks like some dates will have 90 minute layovers each way. Other dates require an overnight layover in Beijing. There are plenty of dates showing for $499 CAD roundtrip, but they can't be booked! Way to go Air China! montreal, yul, flight deals, tokyo, japan, asia, east asia, hong kong, hkg, air china, hnd, astana, kazakhstan, tse, central asia, seoul, south korea and gmp. 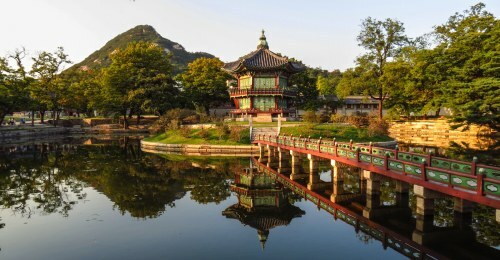 5 Responses to "Montreal to Tokyo, Japan or Seoul, South Korea - $499 CAD roundtrip including taxes (no more Kazakhstan?)" Yes, it's definitely annoying. Those of us in the YUL Deals facebook group were trying as soon as these tickets were released (3 AM EST) and the flights to Tokyo and Seoul did not ever seem to be bookable, for anyone. Although there was one person who said their friend was able to book one to Tokyo. I kept getting the same error message as you, despite the fact their website was showing many dates as being available. Hong Kong was the only destination that ever seemed to work. All of the destinations from Vancouver for $499 seemed to work, based on what I saw in the YVR Deals facebook group. Last time, there were extremely few dates available to Tokyo. This time, there were plenty of dates, but they couldn't be booked. Air China definitely needs to get their act together from Montreal! This time, I didn't even send out an e-mail alert about this one beforehand, at the risk of disappointing too many people. Air China will need to prove they can actually offer these deals from Montreal before I do so again. Thanks Chris, in no way shape or form and I blaming, you, you do a great job telling us about these deals! If I cant get the deal before July (believe me I've actually been trying twice every hour) I'm seriously pondering making a complaint to the Competition Bureau of Canada. Again thanks for your help on this! Really appreciate the effort on finding this deal. Too bad there's always issues booking something on AirChina, really proving to be unreliable. It's always buggy for some odd reason. If the site actually allows me to book at a cheap rate then I'll keep trying obviously, but I'll NEVER book on the website at normal rates. Anybody get lucky yet? I've been trying to book for 6 hours straight now using a huge range of the available dates and still get nothing but the error message. I've called the airline twice and they are sticking to their story of it being neccessary to book online. They can't even give any info on what is avail or not. One woman did tell me, however, that X amount of seats are avail per flight vs. it being a huge lot of tickets free-for-all style.